Yes, we're doing it again. This August/September we'll be helping you build the business app of your dreams, in a series of webinars over 6 weeks. With 8 webinars, a dedicated forum, set homework and a final exam, we're going to have our work cut out making sure you get what you want from this course. So why are we doing it? Basically, because you asked us to. In our recent survey (thanks to everyone who took the time to fill it in!) 73% of you said you wanted assistance to learn more. 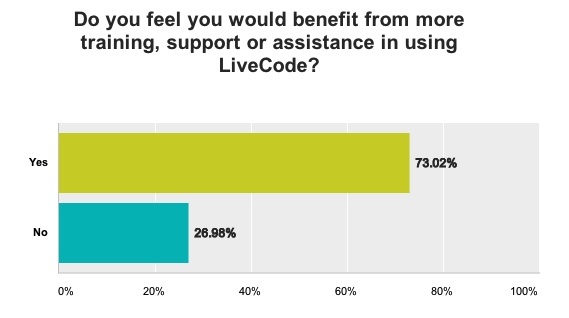 Over 60% want to build a business app of some kind, and only 4% of you consider yourselves to be expert in LiveCode. We aim to get that expert level up! One of the challenges we face when we run this kind of course, is that not everyone starts at the same level. This is why when we put together the Summer School package, we've included everything we could think of that might help. You get LiveCode University, as soon as you sign up, so if you are at that beginner stage you can get stuck in straight away with the basics, and get more out of the webinars when they start. You get all our existing academies, so you can try things out, get pointers on specific aspects, see a different way of doing things and have it in your account right away. If you have questions, need more help or want some aspect of the course explained in relation to your specific app, you will be able to ask in our dedicated forum. Advanced users will probably benefit most from the included one to one Skype sessions. 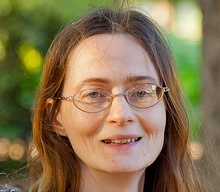 A huge benefit to us from a course like this is the direct interaction with you, the users. We learn from you exactly where you do get stuck, what you find difficult, what you love, what new features you would find useful, which are hard to use and which would be the easiest to improve. It gives the best possible kind of feedback for our development team. So what are we teaching? We've built the course around the needs of a business app. We'll start with an introduction, get you up and running with a basic stack, then we'll start adding features. We'll cover app design, data storage, web services, location services (using GPS etc), multimedia, communication (email, social, notifications) and deployment (desktop and mobile). At the end of the course you will have created an app which contains a wide range of features that can be tailored to your specific needs. We're just putting the finishing touches to the schedule, then we will publish it on the Summer School minisite. 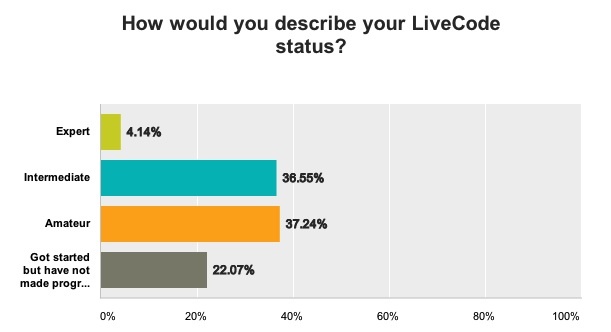 Your success is our success - and feeds into the success of the LiveCode Community as a whole. 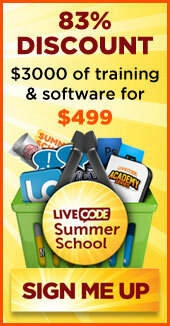 The more great apps there are out there built in LiveCode, the better known the product will become. Our mission is to get the whole world coding in LiveCode... starting with YOU :).